One of the biggest challenges this day and age is finding a good business to start, the one that will eventually pay off. Today, it seems that everyone is starting their own business, or a startup, which makes a challenge seem even bigger. However, it’s up to you to do your best in choosing the right business, as well as to make it prosperous and growing. In order to do so, every business has to be advertised and marketed properly. Microblading is one such business opportunity, that has become quite popular recently, and as it’s still very much on the rise. If you’re already into microblading business, you must have noticed sponsored posts on Instagram of other artists. Most prominent managed to grow their microblading business, and are successfully growing their brand too. So, how did they do it? Whether you’re already in beauty industry, or you’re just a newbie looking for ideas to start your new business, take a look at this comprehensive guide on how to start and what it takes to build a successful microblading business. A Quick Intro: What is Microblading? Eyebrows are extremely important today, especially with millennials. This is probably due to the fact that everything’s online now, and we get to follow the lives of our favorite celebrities much more closely than before – to such an extent that we basically know which celebrity underwent which beauty procedure, microblading eyebrows included. This procedure of microblading resembles tattooing your face but with a small difference. As opposed to classic tattoos that are completely permanent, microblading eyebrows is semi-permanent. This means that eyebrows will stay on one’s face from 12 months up to 3 years, depending of the quality of the artist and the general state of the skin. During the process, the artist makes small incisions into the skin of the client, and using thin, hair-like strokes creates the exact shape that the client wants. The answer to this question is – definitely yes! The average microblading treatment in parts of the USA (but also Europe, even though the price can be a bit lower in certain countries) can cost even $1500 per single treatment. It means that you can pay off your initial investment after just a couple of sessions, once you become a pro. As far as new artists go, the price can start from $600, which means that you quickly pay off everything. Once you start, your price will only go up. This is definitely something that could work for you. Step 1: How to Get Certified? Obviously, the first thing you need to do is get certified. Even though many different companies offer a wide range of courses that will grant you the possibility of microblading your customers, you should opt for quality over price. That is why you should sign up for world renowned PhiBrows microblading training. 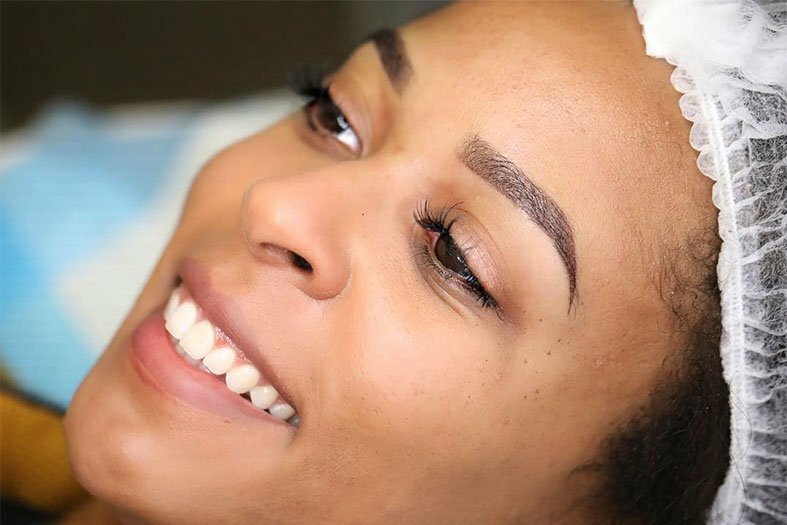 It doesn’t matter if you’re a stay-at-home mom, have another job that you just won’t quit yet, or a lot of free time on your hands, the Art of Beauty Academy offers two types of microblading trainings. Perfect for all people who don’t have time to actually sit in their car and drive for a weekend to a town or city where a live microblading is held. An online microblading training is an excellent opportunity to master the skill of microblading from the comfort of your own home. As far as the online sessions are concerned, they are great as you get to determine your own pace. 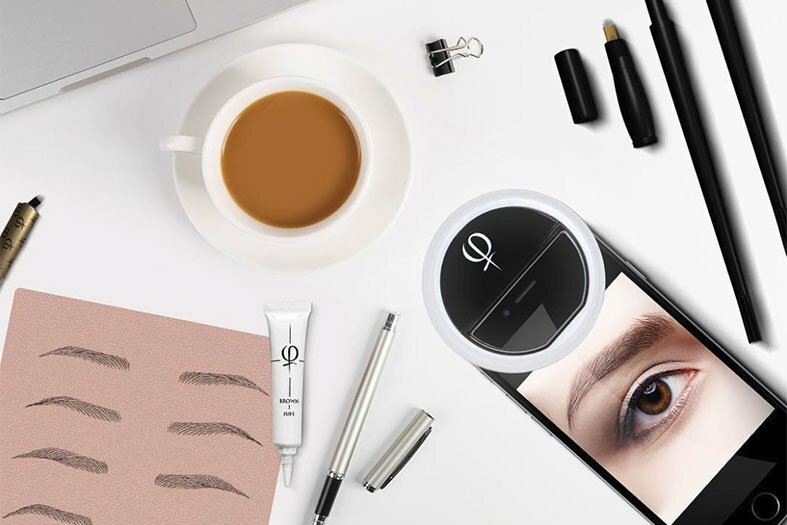 Once you sign up for the PhiBrows online course, you will get access to a certain software platform, get a free microblading kit, and audio and video lessons that you will have to go through. There will be enough time on your disposal to thoroughly engage and practice, especially due to the fact that these trainings can last up to 6 months. This is also an excellent idea if your budget is not big enough – you won’t have to pay on gas going to and from a live microblading training location. If you want to master this skill in the best way possible, under the supervision of the best microblading master artists, this is something you should definitely do. If you’re up for the classical approach, you can always sign up for PhiBrows microblading training. These are often organized all around the world, especially in USA. You can always find microblading classes near you, since they are held numerous times throughout a year. The live microblading training is slightly different than the online one – it lasts for only a couple of days, but you will be expected to work and learn from the early morning until late afternoon. Yes, it does sound exhausting, but these trainings really do teach you how to microblade in the best way possible. You will be using live models which is a great step towards gaining experience. 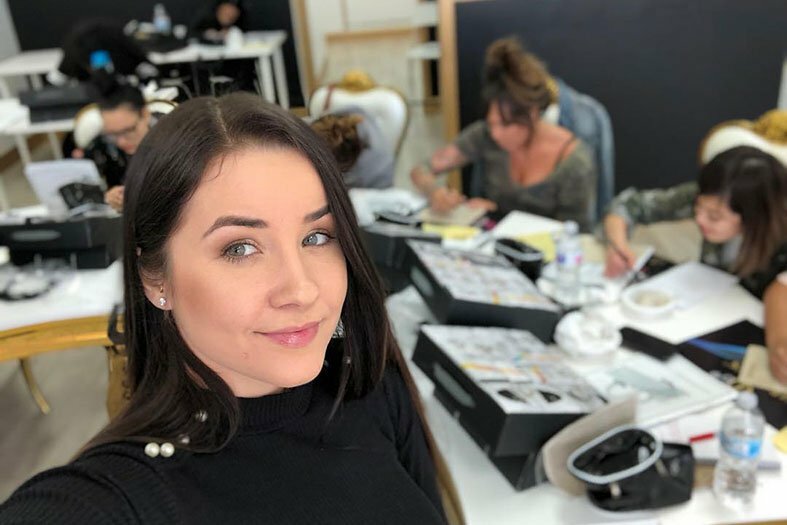 Once you sign up for this training, you will receive a free microblading kit that you can use even after your training is done (so, you can save more money once you get your certificate because you will have enough material for a couple of sessions once you start microblading business of your own). Step 2: What About My Equipment? A free microblading kit that you will get during the live and online PhiBrows microblading trainings will last you for 80-90 treatments. Once the time comes to get more equipment, it’s very important not to save money, as quality equipment can be seen from miles far. You want your customers to know that you really put yourself in the business and that you’re fully prepared from the very moment you start. Having all the essential microblading tools and products is of the utmost importance – your customers need to know that you paid attention to the blades, pigments and microblading machines, and that you actually care about the outcome. Also, make sure that you have aftercare products that your customers could browse around while waiting for their session to start. The next step in this saga of how to start your microblading business is perhaps stating the obvious, but in this day and age what’s seen is very important. Perhaps you are the best microblading artist in the world, but you definitely need to establish your brand in the right way if you want success. Without a proper design you might end up with fewer customers than somebody else who’s perhaps a less talented artist than you are, but has good aesthetics and sense for branding. This is why you need to invest in the logo, your website and business cards. Your brand should be the extension of you and your work, so choose anything that will associate your customers with you and your brand. Which brings us to the next step. Step 4: Is the Microblading Website Important for Successful Business? It definitely is. 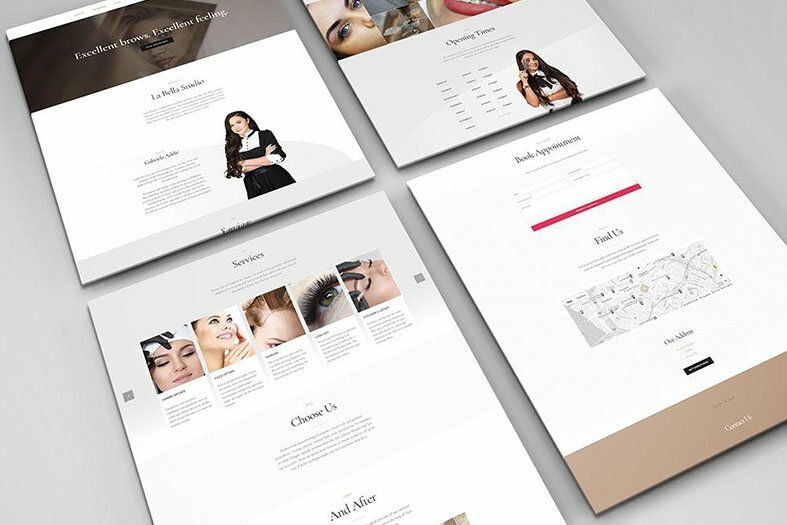 First of all, your professional microblading website should be appealing to the eye, but apart from that, it needs to have certain content and make your customers spend some time there exploring and seeing everything you have to offer and say. Having a blog section where you will post videos of you microblading, or writing about the microblading process, is an excellent opportunity. There’s also nothing that proves how good of an artist you are than posting before and after photographs on your website. Also, it’s of an utmost importance to show your credentials and quality by displaying the certificate (PhiBrows) logo next to your name on the website. Customers like to see things like this, since it helps them decide whether to choose someone or not. Therefore, feel free to show what you can do, as well as how you solve your customer’s problems or fix certain microblading mistakes. This will also serve as a great word of mouth advertisement, which is probably the best possible way to gain more customers in industry such as beauty is. As you probably know, the power of social media has never been stronger, and the good thing is that you should use it if you want to market your microblading business. We’re not talking only about Facebook, as there are other social networks that make a great platform for you to advertise. For example, YouTube can be a great platform for a microblading artist. If you opt for filming yourself while performing the microblading process, this is where you should upload it. Not only will everyone interested on YouTube be able to see your skills, but you can also link it to your website and have everything on one place. Apart from Facebook, which you should definitely use for marketing purposes, don’t forget about Instagram. This is the biggest advertising platform at the moment, and being there can do wonders for your business. There is the option of being sponsored there, and for a small fee thousands and thousands of people can see your post. What’s good is that, thanks to its algorithm, Instagram will target only people who are interested in microblading so this will definitely result in you gaining more customers. However, bear in mind that the aesthetics and the Instagram feed is of big importance for the image of your brand, so make sure to do a bit of research on what photos you should post there and how to form your campaigns. In order to make your microblading business even more professional, apart from microblading eyebrows, you should consider offering other services as well. Since you want to be quite original and unique, the best option would be to think about other microblading sessions, such as popular scalp micropigmentation training online (which is excellent for men or women who are facing a hear loss). There are other trainings that you can sign up for once you’re done with the eyebrow one. So, signing up for a manual shading ombre training or a vitamin lash training is a great way to attract more customers to your business. Finally, it’s very important to have all the possible answers to the questions of your customers. That way you will build in a high dose of relevance and trustworthiness in your work, and eventually brand. For example, most people might ask how long microblading lasts, so it’s your job to actually give them the best possible answer. Moreover, make sure you know what aftercare products you want to recommend, and know how to give the right instructions on when and how to use them. The same goes with aftercare advice and care. It’s not an easy task to know how to start microblading business nowadays, but if you put love and effort in it, success will definitely come. Make the Art of Beauty Academy your business partner and let it guides you in process of achieving an ultimate success in your microblading business!